Djam directed by Tony Gatlif (2017) France was certainly a highlight of the 15th San Francisco Greek Film Festival. The title is also the name of its main character, who sings during the titles and both sings and dances at various times throughout the film. What the film lacks in pure cinematic technique is more than made up for through its generous portrayal of human life in difficult times. Djam is a young, attractive, street-wise woman able to meet most of the challenges during her journey from the Greek island of Lesvos to Istanbul and back. Entrusted to accomplish a mission she’s quite capable of completing. The film is hopeful and celebratory despite terrible conditions in this dark era. The festival continues through the end of this week. 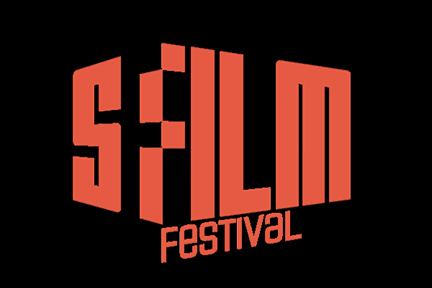 For more information and tickets contact San Francisco Greek Film Festival at www.grfilm.com. 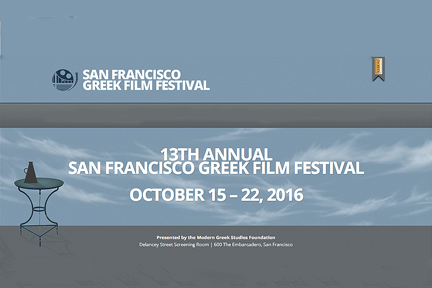 The 13th annual San Francisco Greek Film Festival runs 15 – 22 October 2016 at the Delancy Screening Room, 600 The Embarcadero, San Francisco, CA 94107. Mythopathy directed by Tassos Boulmetis (Greece) 20016 is the opening night feature film. It will be preceded by two shorts: Without Milk directed by Thodoris Vournas and Joanna directed by Panayiotis Fafoutis. Other features include: Suntan by Argyris Papadimitropoulos, Erotica, Erotica, Etc. by Evangelia Kraniot, SMAC by Elias Demetriou, Wednesday 04:45 by Alexis Alexiou, Invisible by Dimitris Athanitis, Chevalier by Athina Rachel Tsangari, and Cloudy Sunday by Manousos Manousakis. 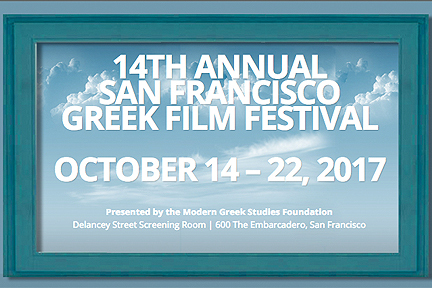 For more information and tickets contact San Francisco Greek Film Festival. The Meddler written and directed by Lorene Scafaria (USA) 2016 is about a widow who moves from New Jersey to Los Angeles to be with her daughter. Marnie is well-provided after the death of her husband but at a loss emotionally, however the constant attention she showers on her only child is overwhelming. When the two are temporarily separated, Marnie tries to help several people she meets in the neighborhood. The leading character elicits lots of laughter and even some tears. Along the way she deals with the Italian family she married into and the soundtrack even includes a familiar Greek tune. While the Mediterranean touch is incidental to the film, the marvelous performance by Susan Sarandon is a delight. The Meddler opens 29 April 2016 at the Century 9 in San Francisco. And 6 May 2016 at Landmark Albany Twin in Albany, Century 16 in Pleasant Hill, Landmark Aquarius Twin in Palo Alto, Cinearts at Santana Row in San Jose, and Regency Cinemas Six in San Rafael.